The girls are in a really good place and we had a confidence-boosting, great win against West Ham United in our last game. The girls worked harder than ever and we got our rewards. We had put so much work into it in our preparation for the game and it was nice to see the hard work pay off with the three points. It was an all-round perfect performance and we have taken a lot of confidence from that. Obviously going into that week with so many players missing through injury it was a little bit unsettling at times for me as the manager but it gives other players an opportunity to step up and they did that against West Ham – they were outstanding from the forwards, the midfielders, defenders and our goalkeeper Anke Preuss, who made some outstanding saves. I was so proud of them and they had a spring in their step after the game. Spirits are really high and we can take a lot of confidence from that. Courtney Sweetman-Kirk got yet another goal for us and it was a superb pass from Laura [Coombs]. Laura is an absolute catalyst in the heart of the pitch, she leads by example by her consistent performances. She was outstanding against West Ham and her performance was like a female Steven Gerrard for us! 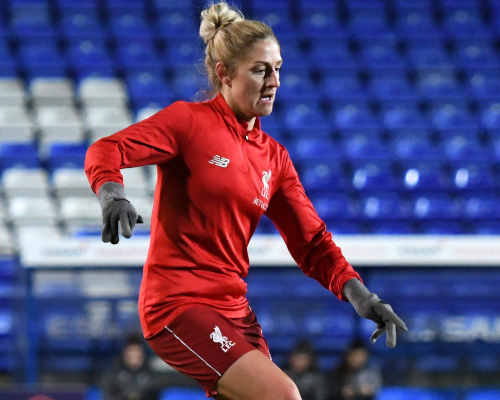 It was disappointing that Laura’s shot – which replays showed crossed the line – wasn’t given because it was well struck and it was a perfect shot from the edge of the box. Laura was at the heart of our performance linking from the front to the back and putting out the fires out of possession. Laura is an unsung hero and is outstanding for us. 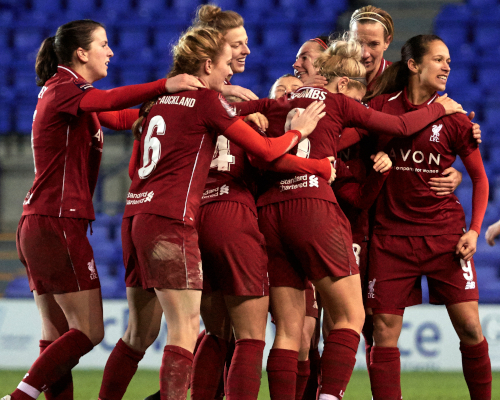 It was a shame our Women’s FA Cup fourth-round meeting with MK Dons was called off due to the frozen pitch at Prenton Park last weekend, but we are going to play it this Sunday and can’t wait for it. It was tough last week because we didn’t get much training in due to the weather conditions so we had to train on the 3G pitch at the Academy. Hopefully Prenton Park will be in perfect condition this Sunday and we can play the game. I think MK Dons will come out and get at us right from the start. It’s important we don’t underestimate them because even though they are underdogs from a couple of leagues below us, there is less pressure on them. They have got a few little stars in their squad who could potentially cause us problems so we have got to make sure our standards don’t drop and we are consistent. Our benchmark now has to be that West Ham performance. It would be nice to enjoy a good run in the Women’s FA Cup. If we can get through on Sunday we would face another home game against either Millwall Lionesses or Lewes. It’s another good draw in our opinion so there’s no reason why we can’t go on a good cup run, but firstly we’ve got to put all our focus on MK Dons and getting our job done. On the injury front, Ashley Hodson is very close to returning. Ashley played 45 minutes for the development team and did very well. 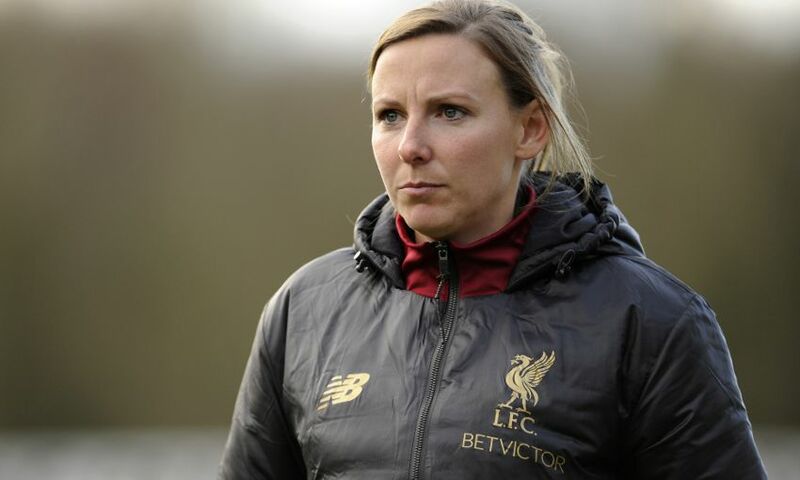 I can’t wait to see her run out onto that pitch at Prenton Park because she has spent so much time off the pitch working so hard to get back in action. Having her back has lifted her spirits and our spirits too because all the staff and the players are looking forward to welcoming her back into the squad. Hopefully Niamh Charles won’t be too far away now and she is nearly ready. We’ve got to be careful and we don’t want to rush her return too quickly because we have to make sure she is right. We have missed both players and it will be great to see them back.